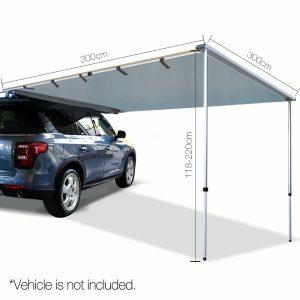 Measuring 2.5m by 3m, the Weisshorn Car Awning is designed for use with most small to mid-size SUVs as an instant shade. 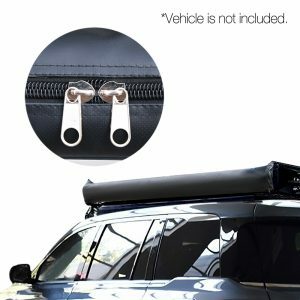 Simply mount the Car Awning assembly to the vehicle’s roof rack and roll out the 3m awning to create a 7.5m2 shaded zone for everyone to chill and relax in cool, covered comfort. 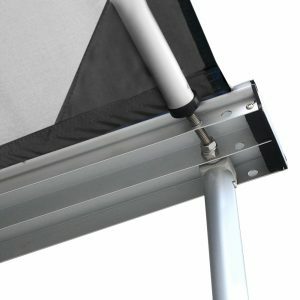 The Awning comes with a high-quality aluminium frame that features a double channel design for more stable mounting, and convenient twist-lock poles for easy adjustment of heights of between 1.2m and 2.2m. 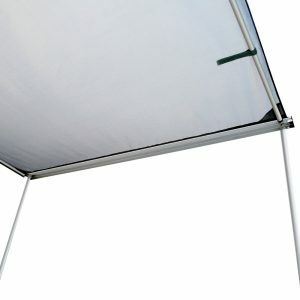 The waterproof and UV and tear-resistant shade is made of 420D Oxford fabric for robust use and is attached to the struts with Velcro straps for fast set up and take down. 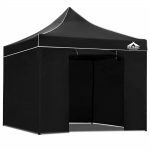 And if you would like some shade at the sides, the Car Awning is also compatible for use with the Weisshorn Awning Extension. 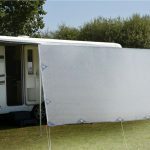 Finally, when all is done, just retract the Awning back into the carry bag and you’ll be happily on your way to the next great holiday destination.